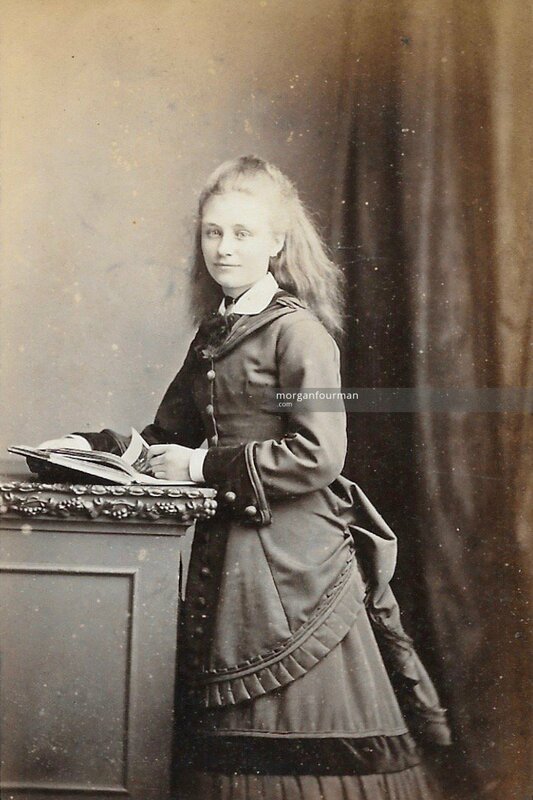 Florence Eliza Marten was born on 8 May 1858, the second daughter of Henry John Marten and his first wife Frances Anne Dimmack. 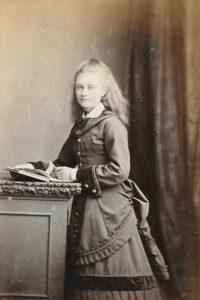 She was brought up in the family home at Penn Hall, near Wolverhampton, moving first to Parkfield House, Penn Fields and then to ‘The Birches‘ in Codsall in about 1875. 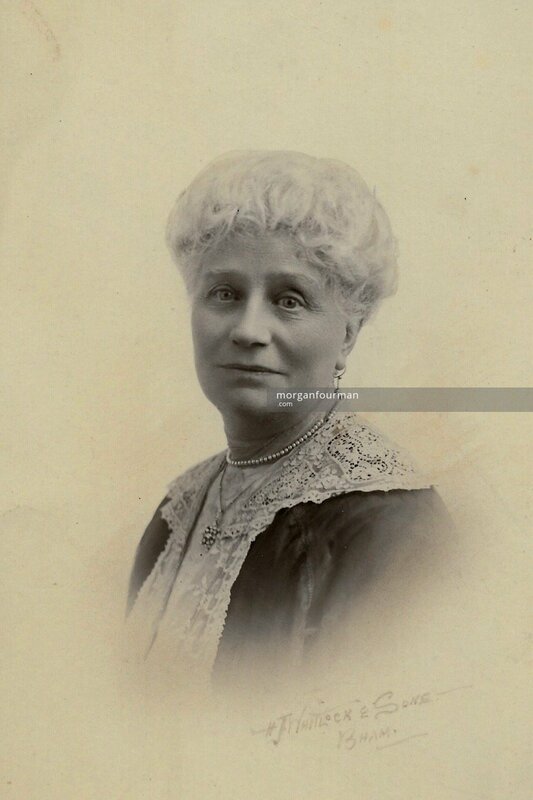 Her father was a prominent businessman and a former chief water engineer for Wolverhampton. Her mother died when she was only 4. Her grandparents must therefore have been a continuous and key part of her life. Her paternal grandmother, Eliza Marten, lived with the family until her death in 1865. 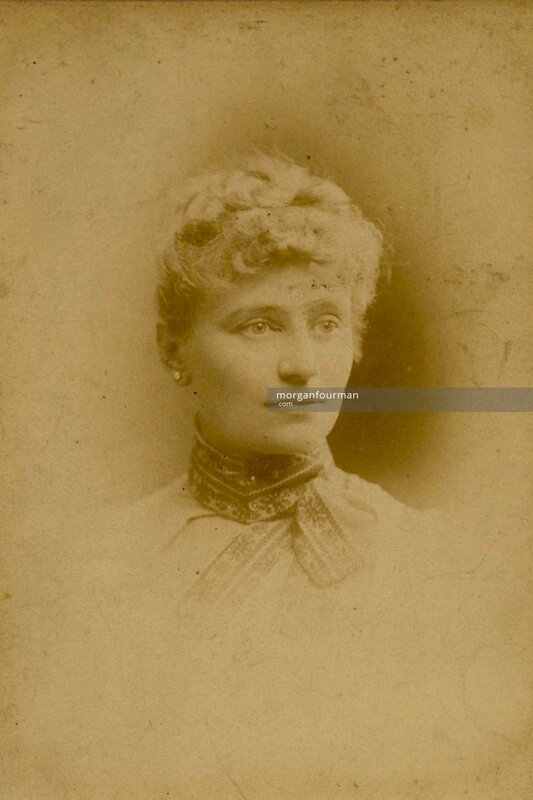 Her maternal grandfather Edward Bagnall Dimmack was her father’s business partner and when he died in 1875, his widow Anne Dimmack moved into the family home, in turn. Her father also employed the daughter of his sister, Edith Payne, as a governess to help in the education and upbringing of his large motherless family. The family appears to have been close and intimate as we know all her brothers and sisters were known by their nicknames and they remained in close contact after their various marriages. Florence was known in the family as Floss. She appears to have been particularly close to her eldest brother Edward (Teddy) and her elder sister Henrietta (Netty). It would appear that Floss was keen on photography as we have a particularly well annotated Photo Album from the 1870’s and 1880’s that forms an important source for this website. She eventually married in 1889 to Henry Evans, who was eighteen years her senior. They had three children, Molly (b 1890), Wilmot (b 1891) and Phyllis (b 1895). Florence seems to have been in poor health from 1914 onward, which deteriorated after the death of her only son Wilmot on the Somme in 1916. Her brother Teddy died in 1917 after a long illness and she herself died on 22 Jan 1922.